The international community is stepping up efforts to fight corruption. A research body focusing on international anti-graft cooperation was established in Beijing in late September, based on the G20 leaders' communiqué released at the conclusion of the Hangzhou Summit on September 5. The institution, named the Research Center on International Cooperation Regarding Persons Sought for Corruption and Asset Recovery in G20 Member States, is the first of its kind among G20 countries. The establishment of the research center has not only created an exchange platform for G20 members to carry out cross-border anti-corruption cooperation and recover ill-gotten assets, but will also strengthen mutual understanding among these countries and contribute to global efforts to fight graft. The G20 communiqué declares that the organization has recognized the detrimental effects of corruption and illicit finance flows on the equitable allocation of public resources, sustainable economic growth, the integrity of the global financial system, and the rule of law. 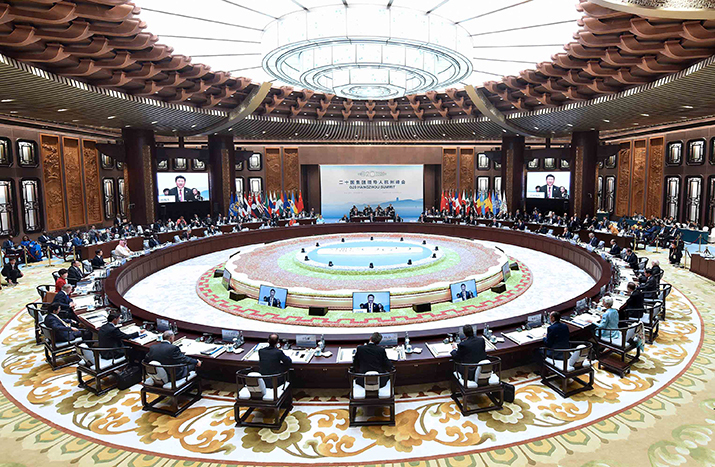 Therefore, G20 members agree to reinforce their efforts to enhance international cooperation against corruption, while fully respecting international law, human rights and national sovereignty. In fact, at the 2010 Toronto G20 Summit, an anti-graft group was established to play a leading role in this area. Within a few years, it evolved into an active cooperation mechanism. The newly established research center, one of the major achievements of the Hangzhou Summit, is the result of this original group. Zhao Bingzhi, chief researcher at the G20 research center and a law professor at Beijing Normal University, told Chinese media that the new institution would effectively integrate the resources of law experts of G20 members and provide a new research platform for combating corruption, tracking down fugitive corruption suspects and recovering embezzled assets. Liu Jianchao, Deputy Head of China's National Bureau of Corruption Prevention, said that the center can provide the international community with more ideas and intellectual support for anti-corruption strategies, pooling wisdom to find better solutions. Anti-corruption efforts are complex. They need an effective mechanism. Kate Harrisson with the British Embassy in China, told Chinese media that the establishment of the center will undoubtedly strengthen international cooperation on cross-border corrupt official tracking and asset recovery. The research center will help G20 members and other countries to discuss and understand the judicial differences between them, Harrisson said. The G20 anti-graft research center is currently composed of more than 30 researchers from different countries, though most are Chinese nationals. Based on the operating principles of the research center, all G20 members, other nations, and international organizations are welcome to recommend research experts for the center. Liu said, no matter where the scholars or officials are from, the platform can be used for sharing information to combat international corruption. An effective cross-border mechanism to tackle corruption and recover assets must strictly observe the rule of international law, human rights and the sovereignty of each country involved. The research center has several major tasks. These include researching the basic anti-graft rules of international law, approaches to cooperation on cross-border hunting of corruption suspects and asset recovery, as well as the improvement of related laws and rules in China, said Huang Feng, Director of the center. The center will conduct its work through mechanisms including thematic research, international academic seminars and exchanges, and professional training. It will pay more attention to the transformation of research achievements, trying to resolve problems encountered in this field, Huang added. Wang Xiumei, Executive Director of the G20 anti-graft research center, said that the center is not a purely academic organization, its major purpose is to pool in wisdom to facilitate international cooperation on persons sought for corruption and related asset recovery. "All research achievements of the center are to serve the practice of international cooperation in combating corruption. For instance, China recently signed an extradition treaty with Canada, and we will do research and provide constructive suggestions to explore ways for a possible China-U.S. extradition treaty in the future," said Wang. According to Huang, the research center can help China further get to grips with international rules as well as judicial review procedures and rules of evidence of other countries, providing an important reference for China's domestic law development and creating favorable conditions for China to sign extradition treaties with more countries. In addition, Huang noted that the center can also help foreign judicial officials to understand China's criminal statutes, enhance their trust in China's criminal justice system and eliminate their misunderstandings on China's human rights protection, thus creating better conditions for cooperation. In the past few years, China has launched several operations with other countries to hunt down fugitives involved in graft. 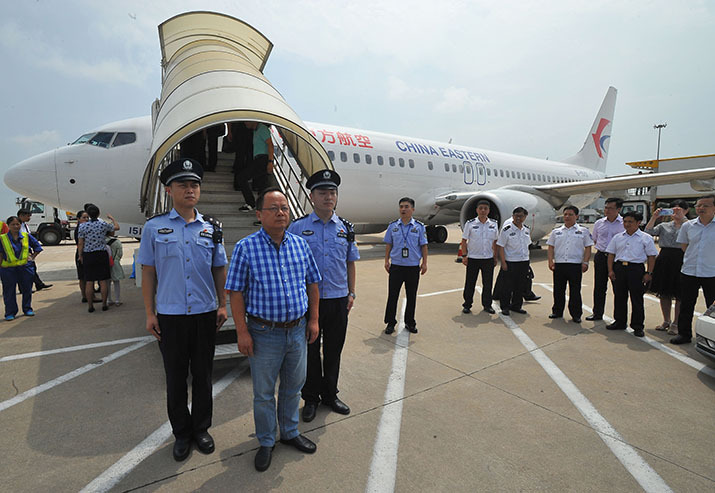 In 2014, China established a special working group to coordinate cross-border searches for fugitive corruption suspects and recovery of related assets. By May, China had 1,915 corruption suspects on the run in more than 70 countries and regions extradited back to China, with the value of recovered assets reaching 7.47 billion yuan ($1.2 billion). China has also established anti-graft cooperation with 89 countries and regions and signed 44 extradition treaties and 57 mutual legal assistance treaties with foreign countries. In the meantime, China wants to establish more bilateral and multilateral mechanisms with other countries to fight corruption. The National People's Congress, China's top legislature, is planning to formulate a law on international criminal judicial assistance this year to facilitate international anti-graft cooperation. According to Huang, in the future, the G20 anti-graft research center will provide more legal services to enable China's judicial authorities to overcome existing legal obstacles in international manhunts for fugitive corruption suspects and recovery of embezzled assets.